Cyclone Nargis made landfall in Myanmar on Friday, 2 May 2008, sending a storm surge 40 kilometers up the densely populated Irrawaddy delta, causing catastrophic destruction and at least 138,000 fatalities. The Labutta Township alone was reported to have 80,000 dead, with about 10,000 more deaths in Bogale. But now that global warming is officially “paused” – the climate racketeering team has changed the dialogue to try to convince the public that bad weather never happened before. Too Much Information forms the basis of the climate propaganda machine. 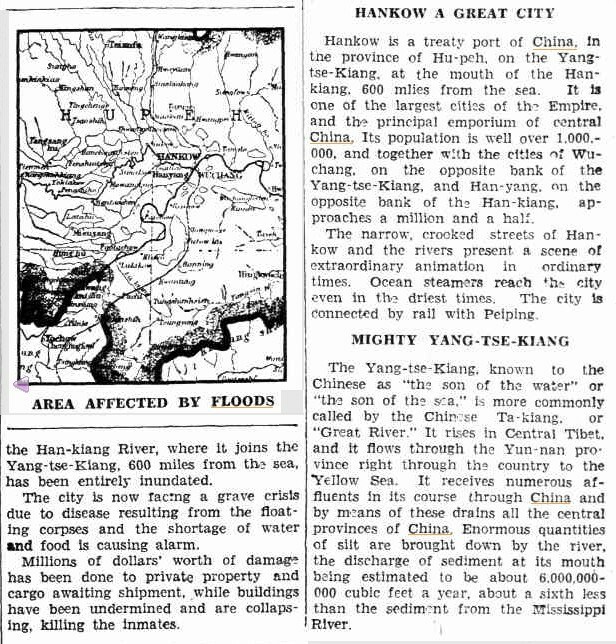 A deadly flood or storm surge in Asia used to be page six news in the newspaper, if it made it all. Now it is 24×7 coverage on CNN. This makes people believe that the climate is spiraling out of control. People used to be worried about Smallpox and drought and TB and Polio and flu and Pneumonia and not getting enough food to eat and childbirth – but now that they are comfortable and safe in their living rooms with an excess of everything, they imagine themselves to be endangered by far away weather events which have no impact on their lives. 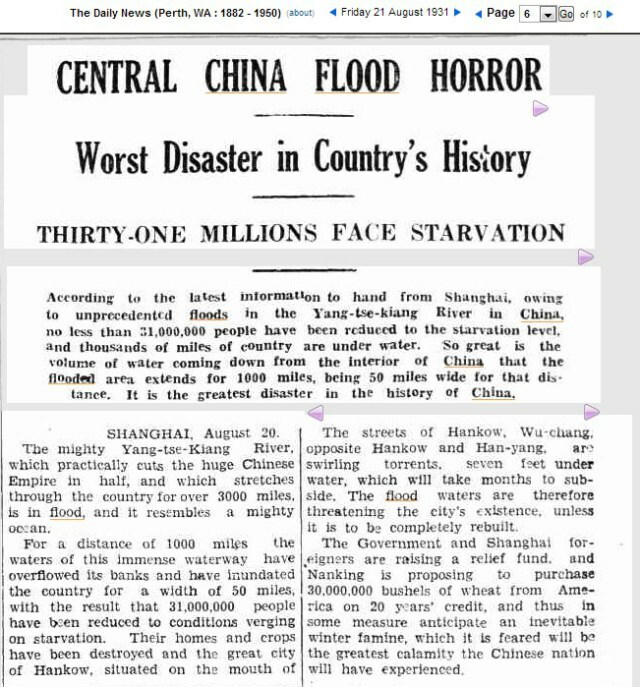 Thirty-one million at risk of death in China was Page 6 news in 1931. How Environmental Organizations Are Destroying The Environment | Watts Up With That? A must watch – Greening the Planet – Dr. Matt Ridley | Watts Up With That?